A Gift That Will Leave Her Awestruck ! 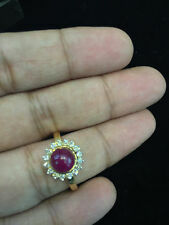 Natural Diamonds & Natural 4 Cts Ruby. 1 Ring, 1 Authenticity Certificate. Natural Diamonds. Natural/Synthetic Diamonds. Our QUALITY can't be beat ! Price May Vary. A Gift That Will Leave Her Awestruck ! 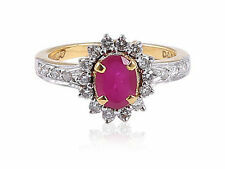 Natural Diamonds & Natural 1.38 Cts Ruby. 1 Ring, 1 Authenticity Certificate. Safe & Secure. Natural Diamonds. Natural/Synthetic Diamonds. Our QUALITY can't be beat ! Delicate in design, this 18k yellow gold classic solitaire ring features 0.39 carat round brilliant diamond. This diamond was graded by AGI laboratories as a Natural Mined Diamond, J color, SI1 clarity enhanced, with Ideal Cut and proportions. Beautifully graceful in its simplicity, this 18k yellow gold cathedral solitaire ring features 0.33 carat round brilliant diamond. This diamond was graded by AGI laboratories as a Natural Mined Diamond, E color, SI1 clarity enhanced, with Ideal Cut and proportions. Romantically brilliant, this 14k yellow gold classic wedding ring showcases 0.42 carat round brilliant diamond. This diamond was graded by AGI labs as a Natural Earth Mined Diamond, H color, SI1 clarity enhanced and Ideal Symmetry. To bring out the radiance of the jewelry our master jeweller used tension setting. The certificate that comes with this ring indicates the 4C's and the appraised retail value of $4,043. At Extra Brilliant, your satisfaction is guaranteed and your money is fully protected by our 30-Days 100% money back guarantee. Setting Type Pave, Prong. Setting Can hold a 9mm Round Cut Center Stone. Side Stones Natural Round Cut Diamond. We have a professional design group and accept customized designs. Finish Style High Polished. Perfect Gift For All Occasions ! 1 Ring, 1 Authenticity Certificate. Natural Diamonds. Natural/Synthetic Diamonds. •Custom Jewelery Designing - We Can Manufacture Your Jewelery Design. Our QUALITY can't be beat ! A Gift That Will Leave Her Awestruck ! 1 Ring, 1 Authenticity Certificate. Natural Diamonds. Yellow Gold. Safe & Secure. Natural/Synthetic Diamonds. Our QUALITY can't be beat ! Gold Purity. Capture your lasting love with this timeless 14k yellow gold trellis wedding ring features 0.48 carat round brilliant diamond. This diamond was graded by AGI labs as a Natural Earth Mined Diamond, G color, SI1 clarity enhanced and Ideal Symmetry. To bring out the radiance of the piece our master jeweller used double-prong setting. The certificate that comes with this ring indicates the 4C's and the appraised retail value of $2,218. At Extra Brilliant, your satisfaction is guaranteed and your money is fully protected by our 30-Days 100% money back guarantee. A Gift That Will Leave Her Awestruck ! 1 Ring, 1 Authenticity Certificate. Natural Diamonds. Natural/Synthetic Diamonds. •Custom Jewelery Designing - We Can Manufacture Your Jewelery Design. Our QUALITY can't be beat ! Luxurious in style, 18k yellow gold classic engagement ring showcases 0.45 carat round brilliant diamond. This diamond was certified by AGI labs as a Genuine and Natural Diamond, J color, SI1 clarity enhanced and Excellent Polish. To highlight the spark of the jewelry our master jeweller chose 6-prong setting. This ring comes with an independent diamond report and an insurance replacement value of $1,781. At 47 Diamond District, your satisfaction is guaranteed and your money is fully protected by our 30-Days 100% money back guarantee. 0.43 Cts [0.30 Cts Center 0.13 Cts Side]. 1 Ring, 1 Authenticity Certificate. Paste link into a browser window:[isdntekvideo]. Natural Diamonds. Natural/Synthetic Diamonds. •Custom Jewelery Designing - We Can Manufacture Your Jewelery Design. Capture your lasting love with this timeless 18k yellow gold vintage engraved wedding ring features 0.44 carat round brilliant diamond. This diamond was graded by AGI labs as a Natural Earth Mined Diamond, E color, SI1 clarity enhanced and Ideal Polish. To bring out the radiance of the ring our master jeweller used 4-prong setting. The certificate that comes with this ring indicates the 4C's and the appraised retail value of $5,144. At Extra Brilliant, your satisfaction is guaranteed and your money is fully protected by our 30-Days 100% money back guarantee. 0.46 Cts [0.30 Cts Center 0.16 Cts Side]. 1 Ring, 1 Authenticity Certificate. Natural Diamonds. Natural/Synthetic Diamonds. Our QUALITY can't be beat ! Price May Vary. Gold Purity. Yellow Gold. Hand-crafted by top designers, this 18k yellow gold classic engagement ring showcases 0.39 carat round brilliant diamond. This diamond was graded by AGI labs as a 100% Earth Mined Diamond, D color, SI1 clarity enhanced and Excellent Polish. To expose the true sparkle of the jewelry our goldsmith used 4-prong setting. This ring will arrive with a detailed grading certificate and with a retail value of $1,747. At Diamond BLVD, your satisfaction is guaranteed and your money is fully protected by our 30-Days 100% money back policy. Side Stone Total Carat Weight is 0.04 Ctw. Round Cut Diamonds of Color - G and Clarity - SI2 are set in Bezel Setting. Shape: Marquise. Setting Type: Bezel. Total Carat Weight - 0.49 Ctw. Certification Lab: GIA. Romantically brilliant, this 14k yellow gold cathedral wedding ring features 0.49 carat round brilliant diamond. This diamond was graded by AGI labs as a Natural Earth Mined Diamond, H color, SI1 clarity enhanced and Ideal Polish. To bring out the radiance of the item our master jeweller used 4-prong setting. The certificate that comes with this ring indicates the 4C's and the appraised retail value of $2,397. At Extra Brilliant, your satisfaction is guaranteed and your money is fully protected by our 30-Days 100% money back guarantee. Capture your lasting love with this timeless 18k yellow gold cathedral wedding ring features 0.39 carat round brilliant diamond. This diamond was graded by AGI labs as a Natural Earth Mined Diamond, E color, SI1 clarity enhanced, with Ideal Cut and proportions. To bring out the radiance of the jewelry our master jeweller used double-prong setting. The certificate that comes with this ring indicates the 4C's and the appraised retail value of $1,787. At Extra Brilliant, your satisfaction is guaranteed and your money is fully protected by our 30-Days 100% money back guarantee. Cushion Cut Real Diamond. Each of our diamonds is a piece of art, polished carefully and professionally in Israel. All our diamonds are genuine and conflict free diamonds. For diamond jewelry we provide our own certificate for each jewel with its gemological specifications and by request, provide a gemological lab certificate (GIA, EGL or HRD). Generous Diamond & Gemstone Jewelry. Stones: 0.381CT SI-SI3/H Round Single Cut Natural Diamonds. Ring UK Size: M. Ring US Size:6.5. Width Bottom:3.05mm. Width Top:8.35mm. Stone to Take: 5.5mm RoundCut. 1 Ring, 1 Authenticity Certificate. Natural Diamonds. Natural/Synthetic Diamonds. Our QUALITY can't be beat ! Yellow Gold. Price May Vary. Gold Purity. Gold Color. An elegant 18k yellow gold cathedral engagement ring showcases 0.39 carat round brilliant diamond. This diamond was certified by AGI labs as a Genuine and Natural Diamond, H color, SI1 clarity enhanced and Very Good Polish. To highlight the spark of the piece our master jeweller chose 4-prong setting. This ring comes with an independent diamond report and an insurance replacement value of $2,105. At 47 Diamond District, your satisfaction is guaranteed and your money is fully protected by our 30-Days 100% money back guarantee. Luxurious in style, 14k yellow gold classic engagement ring features 0.48 carat round brilliant diamond. This diamond was certified by AGI labs as a Genuine and Natural Diamond, G color, SI1 clarity enhanced and Very Good Symmetry. To highlight the spark of the jewelry our master jeweller chose tension setting. This ring comes with an independent diamond report and an insurance replacement value of $3,524. At 47 Diamond District, your satisfaction is guaranteed and your money is fully protected by our 30-Days 100% money back guarantee. Beautiful Marquise Cut Diamond Ring. SI 1 G. 40 carat. 14k yellow gold band. stamped 14k. head 14k white gold. This is a quality diamond. THE STONES ARE H/I IN COLOR ARE ARE SI1/SI2 IN CLARITY. TOTAL ASSEMBLED WEIGHT IS 3.7 GRAMS. Distinctly brilliant, this 18k yellow gold cathedral engagement ring showcases 0.43 carat round brilliant diamond. This diamond was certified by AGI labs as a Genuine and Natural Diamond, D color, SI1 clarity enhanced and Very Good Symmetry. To highlight the spark of the jewelry our master jeweller chose 4-prong setting. This ring comes with an independent diamond report and an insurance replacement value of $4,418. At 47 Diamond District, your satisfaction is guaranteed and your money is fully protected by our 30-Days 100% money back guarantee. Distinctly brilliant, this 14k yellow gold cathedral engagement ring showcases 0.48 carat round brilliant diamond. This diamond was certified by AGI labs as a Genuine and Natural Diamond, F color, SI1 clarity enhanced, with Very Good Cut and proportions. To highlight the spark of the item our master jeweller chose 6-prong setting. This ring comes with an independent diamond report and an insurance replacement value of $2,649. At 47 Diamond District, your satisfaction is guaranteed and your money is fully protected by our 30-Days 100% money back guarantee. It is made with detailed Cut. We can do a special order in various sizes. Diamond Carat 0.24 CT (approx.). Main Stone Diamond. Our Diamonds Are 100% Natural And Are NEVER Treated Or CLARITY Enhanced..
Diamond Setting Pave. It is made with detailed Cut. We can do a special order in various sizes. Diamond Carat 0.35 CT (approx.). Main Stone Diamond. Total Weight: 5-5.8 Grams. Product Features. A Gift That Will Leave Her Awestruck ! 1 Ring, 1 Authenticity Certificate. Natural Diamonds. Safe & Secure. Paste link into a browser window:[isdntekvideo]. Natural/Synthetic Diamonds. •Custom Jewelery Designing - We Can Manufacture Your Jewelery Design. 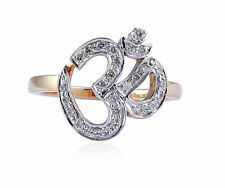 It features a single sparkling genuine diamond set in 14kt yellow gold! The inside of the band is marked 14kt and weighs ~ 1.9gms. All of our jewelry and watches are either new or in excellent, fine estate condition. A Gift That Will Leave Her Awestruck ! 1 Ring, 1 Authenticity Certificate. Natural Diamonds. Yellow Gold. Natural/Synthetic Diamonds. Our QUALITY can't be beat ! Gold Purity. Price May Vary. A Gift That Will Leave Her Awestruck ! 1 Ring, 1 Authenticity Certificate. Natural Diamonds. Safe & Secure. Natural/Synthetic Diamonds. •Custom Jewelery Designing - We Can Manufacture Your Jewelery Design. Nice solid gold ring holding a 4.5mm brilliant round cut. 36ct natural diamond in a 6 prong white gold setting any woman would love. Weighs 1.7 grams and is a size 6.75. All of our jewelry has been professionally cleaned and checked for loose prongs. A Gift That Will Leave Her Awestruck ! Natural Diamonds & Natural 2.50 Cts Ruby. 1 Ring, 1 Authenticity Certificate. Safe & Secure. Paste link into a browser window:[isdntekvideo]. Natural/Synthetic Diamonds. Create a breathtaking moment with this 14k yellow gold cathedral engagement ring features 0.40 carat round brilliant diamond. This diamond was certified by AGI labs as a Genuine and Natural Diamond, E color, SI1 clarity enhanced and Excellent Symmetry. To highlight the spark of the piece our master jeweller chose 6-prong setting. This ring comes with an independent diamond report and an insurance replacement value of $2,002. At 47 Diamond District, your satisfaction is guaranteed and your money is fully protected by our 30-Days 100% money back guarantee.